I officially became a Nichiren Buddhist on 8 October 2005. I was quite surprised when I was told that it was not obligatory to become vegetarian in order to practice this Buddhism. I'd believed that ALL Buddhists, regardless of the school, were vegetarian. Nichiren Buddhism is part of the Mahayana, or Great Vehicle, branch of Buddhism. (The other two branches are Theravada and Vajrayana, in case you're interested. We're not going to go into the various branches of Buddhism today, though. We'll save that for another time.) It appears that the Japanese Kamakura schools of Buddhism, like Zen and Nichiren Buddhism, have relaxed the rules a bit, and view vegetarianism as more of a choice than absolutely necessary. To begin with, Buddhist monks and nuns were not vegetarian. They travelled around the country, teaching, and receiving alms from others. If they were given meat in their food bowl, they didn't refuse it. They could only refuse if they knew with absolute certainty that the animal had been slaughtered in their honour. Otherwise, they were permitted to eat the meat. The Theravada schools allow the eating of meat, with the prohibition of eating certain meats - including human and elephant. Vajrayana schools permit the eating of meat. Mahayana schools on the whole believe that a vegetarian diet should be pursued as part of the Bodhisattva way. Some sects even prohibit the consumption of root vegetables as this is seen as the living part of a plant and to eat it, would mean the death of the plant. Not so much Nichiren Buddhism and other Japanese schools, though. Nichiren himself, apparently, was a vegetarian, and there is some debate as to whether The Buddha (Siddharta Gautama) was actually vegetarian. In any case, Nichiren states, in his letter to Akimoto, "One who kills a mere ant will fall into hell, to say nothing of those who kill fish or birds." - (WND V1 P1019). Nichiren Buddhism, particularly the Soka-Gakkai, call their followers Bodhisattvas of the Earth. It is common for those involved in Bodhisattva practice to avoid eating meat as the practice involves showing compassion and loving kindness to all sentient beings. 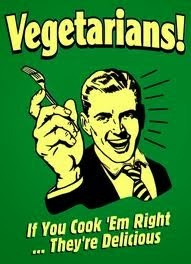 Am I a vegetarian? Not now. I became vegetarian during my conversion to Nichiren Buddhism and remained a vegetarian for about two years. Upon my return to South Africa in 2007, I experienced a migraine, after which I was meat crazy. I ended up raiding the fridge and ate all the cold chicken and salami there was. I've eaten meat since. There is a strong belief in New Age circles that eating meat dulls one's third eye and causes aggression in the meat eater. This is something worth exploring for one's self. In early 2011, a friend and I embarked on an experiement to see if we could live on a vegan diet. Both of us lasted 22 days. I did feel calmer and more centred on the diet, it has to be said.